Today’s weather: partly cloudy, high 87, low 72. Details here. The weather in Graz, Austria: high 86, low 62. Details. The OED’s Word of the Day: recrudescence, n.
Friday ribbon-cutting: at Junque in the Trunk, 2505 Moody Blvd, Flagler Beach, 4 p.m.
Saturday: Summer Basketball Skill Development Camp registration at Flagler Palm Coast High School Gymnasium: The program is set for Monday through Friday, June 22 – July 24, with High School Players Clinics Monday/Wednesday/Friday noon to 3 p.m., Elementary and Middle School Players Tuesday/Thursday/Friday, noon to 3 p.m. The cost is $150 for the entire camp, including 15 sessions and a camp shirt. Registration is at FPC, Building 100, on June 13, from 10 a.m. to 1 p.m. For more information, Coach Michael Steward, (386) 473-2372. Saturday and Sunday: The 8th Annual Fathers Day Lacrosse Invitational to Benefit the Wounded Warrior Project has partnered with the City of Palm Coast, The Army National Guard and LAX.COM. This tournament will take place on the top quality fields of Indian Trails Sports Complex, Matanzas High School and Wadsworth Park, all day. Saturday: Jam out at Gamble Rogers Memorial State Recreation Area with the 2nd and 4th Saturday Jam Session in the park. Musicians of all levels are encouraged to bring instruments and a chair to join the circle for a casual acoustic jam session. Instruments of all types are welcome but no power is available near the pavilions. From 3 to 8 p.m. This event is free with regular park entrance of $5 per carload of two to eight people, $4 for one person in a car and $2 per pedestrian or bicyclist. 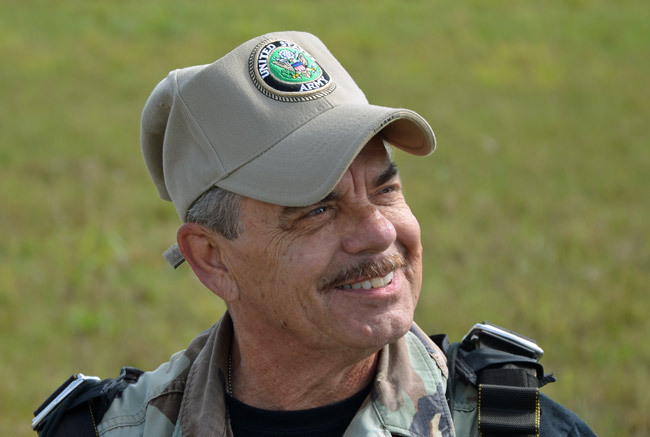 Sunday: Flagler County Democrats Honor George Hanns: Join us on Flag Day from 2 to 5 p.m. at Hijackers Restaurant to recognize the 25 years of service Flagler County Commissioner George Hanns has provided to Flagler County. Children are welcome to come and play in the sand box. There’s no cover, but you have to pay for your food and drink. Hijackers is at 202 Airport Road at the Flagler County Airport. Conservationist of the Year: Charles Pattison, Tallahassee; Marine Conservationist of the Year: Quinton White, Jacksonville; Wildlife Conservationist of the Year: Frank Mazzotti, Fort Lauderdale; Forest Conservationist of the Year: Ed Montgomery, Fernandina Beach; Land Conservationist of the Year: Robert Christianson, Gainesville; Public Lands Conservationist: James Burnett, US FWS, Tallahassee; Conservation Educator of the Year: Maia McGuire, St. Augustine;Conservation Organization of the Year: Putnam Blueways & Trails Citizen Support Organization, Palatka; Law Enforcement Officer of the Year: Major Paul Ouellette, FWC, Retired, Lynn Haven; Francis S. Taylor Outdoorsman of the Year: Robert E “Bob” Taylor, Lake Hamilton;2015 Living Green Award: Sarah Boren, US Green Building Council, Atlantic Beach; FWF Conservation Hall of Fame: David J. White, Esq., St. Petersburg. Please contact Diane Hines at dhines@fwfonline.org or Danny Gwynn-Shapiro at dannygs@fwfonline.org for photographs of the Award Winners after the June 13th ceremony. Closure note: Matanzas Parkway Bridge at I-95 is closed for the I-95 interchange project and will remain closed until Aug. 9. Detour will be via Old Kings Road. Details here. He’s back: Mark Richter files to run for Charlie Ericksen’s County Commission seat: The Observer’s Jonathan Simmons reports on the ex-felon‘s second attempt at a county seat weeks after distributing an obscenity-laced email to local media and calling for a boycott of FlaglerLive. His filing means that if he wins, he’ll have to leave his Mondex trailer on Ironwood Avenue and move to Palm Coast. Richter lost to Nate McLaughlin in the 2012 Republican primary. A mass exercise focused on a shooter was held at Flagler Palm Coast High School, where after-event assessments differed, according to whom you spoke with. Flagler’s first responders began preparing for today’s exercise in January, at the direction of Kevin Guthrie, the director of emergency management who’s put a premium on training since he took over that position in late 2013. Flagler Technical Institute’s graduation: The Observer’s Shanna Fortier has a photo gallery. Judge Michael Orfinger hears three domestic relations trials in Courtroom 301 starting at 9 a.m. Judges are otherwise in chambers. Special session: The House holds a floor session at 9 a.m., the Senate at 1 p.m. The House is expected to pass a series of health-care bills. The bills include a measure (HB 21A) that would revamp the state-employee health insurance program; a measure (HB 27A) that would expand the drug-prescribing powers of advanced-registered nurse practitioners and physician assistants; and a measure (HB 31A) that would eliminate the hospital certificate-of-need regulatory process. The Senate will consider a $400 million tax-cut package (HB 33A), which includes reducing the communications-services tax and holding a 10-day back-to-school tax holiday. The U.S. House of Representatives votes on fast-track legislation controlling President Obama’s Pacific Rim trade deal. The president’s biggest opponents are members of his own party. Israel’s latest Gaza war: The U.N. Human Rights Council today may publish a report on human rights violations and war crimes during last summer’s 50-day Gaza war. Hillary Clinton today orchestrates the largest event of her presidential campaign yet, at a rally on New York City’s Roosevelt Island, situated between Manhattan and Queens, beneath the Queensboro Bridge. City of Palm Coast Citizens Academy graduates 34th class: Eighteen Palm Coast residents graduated this month from the Palm Coast Citizens Academy, a comprehensive program designed to educate interested residents about the operation and workings of their City government. The graduating class – the 34th in the program’s history – spent five weeks learning about City departments and visiting City Offices, the Palm Coast Community Center, Main Fire Station 25, and Water Treatment Plant No. 3. The class also attended a Palm Coast City Council meeting together. City Manager Jim Landon and City Administration Coordinator Beau Falgout kicked off the Citizens Academy series in May with an update on economic development trends, current projects and the mission of the Palm Coast Business Assistance Center. 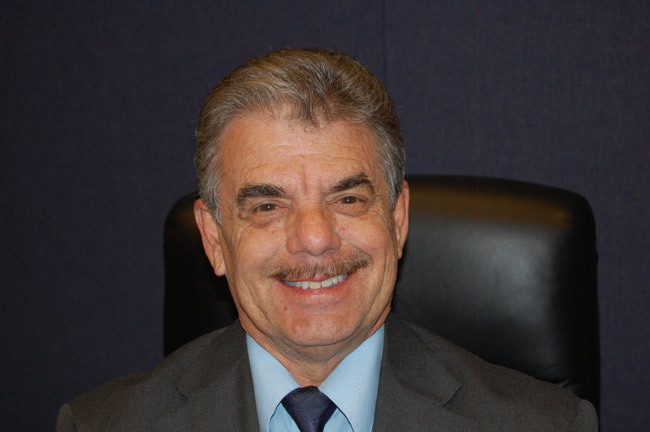 In the second week, Mayor Jon Netts provided an overview session titled, “Governing the City,” providing background on Palm Coast’s incorporation, City Charter, the Council-Manager form of government, and a general overview of the City. Those enrolled in the Citizens Academy met several City Council members, as well as department directors and other City staff employees. The June 2 graduates were Gary Brouse, Cynthia King Brouse, Karen DeSalvo, Curtis Ellis, Scott Gauthier, Susan Gauthier, Vivianne Holt, Michele Jain, Vijay Jain, Albert Leonardi, Rosemarie Leonardi, Vincent Lyon, Sally Madrigal, Mark Positano, Ellen Pugner, Ivan Reyes, Joseph Shinnick and Michelle Turner. The Citizens Academy meets once a week, usually on Monday evenings, for five straight weeks. The course is free and registration is limited to approximately 30 Palm Coast citizens per session. The academy is held three times a year – fall, winter and spring. There is one more session coming up this year, beginning in September. To register, go to www.PalmCoastGov.com and search for “Citizens Academy.” For more information, contact Cindi Lane, Palm Coast Communications & Marketing Manager, at 386/986-3708. Realty Exchange Donates $1,500 to Habitat for Humanity: Reality Exchange hosted their annual Customer Appreciation party on May 30 at Bings Landing in The Hammock. Over 800 customers, agents, friends and family attended the event. “We are grateful that we can give back to the community, through events like this and our donations to Flagler Habitat for Humanity,” said Julie Sabine, one of the owners of Realty Exchange. The event raised $1,521 for Habitat and featured kids games, corn hole tournament, free lunch, boat rides along the intracoastal, and over 50 prizes raffled with a Grand Prize of a free IPad. Realty Exchange sells over 700 real estate units annually in Flagler. Preferred Management Services Adds Three New Associations: Preferred Management Services is expanding in the Ormond Beach area. The Flagler Beach-based company is now managing three new associations. Most recently added to its portfolio is Madeira Villa South Condominiums and Prestwick Townhomes & Prestwick Townhomes II all of Ormond Beach. Madeira Villa is a small oceanfront condominium with 14 units, some of which are rentals. Prestwick Townhomes & Prestwick Townhomes II associations are located within the gated golf community of Plantation Bay. They are a golf lovers dream where many snow birds call home during the winter. Lea Stokes launched Preferred Management Services in 1995. The company provides community association and commercial management services, offering home monitoring and maintenance services, and professional maintenance for all types of minor repairs, home projects and property preservation. For more information, visit http://preferredmanagementservices.net/, call 386-439-0134, or email lstokes@preferredmanagementservices.net. 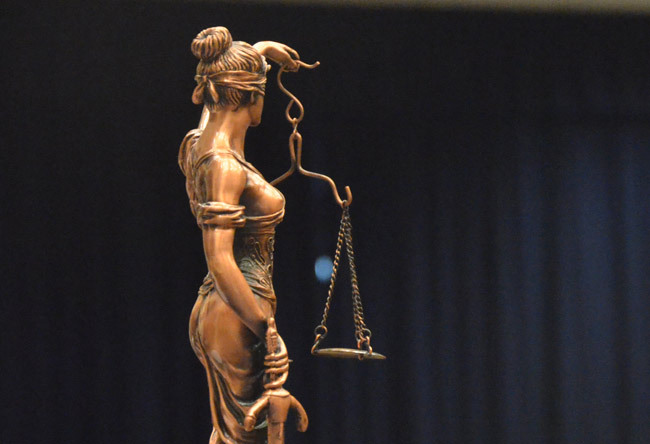 The Floridians for Solar Choice ballot petition took a critical step in the Florida Supreme Court approval process today by filing its initial legal brief. As with any citizen initiative seeking to amend Florida’s Constitution, the state Supreme Court must review the petition language to ensure it is limited to a “single subject” and that the ballot title and summary accurately inform voters of the amendment’s purpose. Floridians for Solar Choice’s brief clearly explains how the petition meets Florida’s legal requirements and shows that the FIEC financial impact statement is clear and unambiguous. Not unexpectedly, opponents of the petition are filing briefs today as well arguing that the petition language falls short of legal requirements. Answer briefs are due to the Supreme Court on June 30th and oral arguments are set for September 1st. “We look forward to Supreme Court approval of the clearly-stated petition language in order to place solar choice on the ballot in 2016. We expected that the petition would upset the status-quo and generate opposition, however, we believe that briefs filed by opponents don’t present a viable threat to the success of our effort to bring free market principles and consumer choice to all Floridians,” said Tory Perfetti, Chairman of Floridians for Solar Choice. “Florida’s families and businesses deserve to have more choices as to how they power their homes and businesses. The campaign continues to gather support and signatures and looks forward to having voters decide on removing barriers to solar choice in Florida.” The campaign’s total number of verified signatures continues to grow as more than 88, 167 are now confirmed, and hundreds more are received by local election offices each week. The campaign needs to collect, and have Florida’s Division of Elections verify, another 600,000 signatures (683,149 signatures are required in total) byFebruary 1, 2016 in order to place the proposed constitutional amendment on the November 2016 ballot. The ballot proposal – designed to expand solar choice by removing barriers that limit solar ownership models – continues gaining wide support as more than 38 different organizations comprising the business community, conservative groups, faith communities, clean energy and environmental organizations have come together in this multi-partisan, pro-consumer coalition. When Georgia’s solar bill (HB57) became law in May, Florida was left as one of only four states in the country where current law expressly denies citizens and businesses the freedom to buy solar power electricity directly from someone other than a monopoly electric utility or government-owned electric utility. The latest look of the future Palm Coast City Hall at Town Center. Click on the image for larger view. Island Walk Shopping Center (Former Palm Harbor Shopping Center), 80 percent done: A 3rd Grease Interceptor has been installed behind the new buildings on the west end of the project. Three sewer wyes have been installed to serve the Grease Interceptors. road to the median of Wendy’s, some of this work will be done at night. Royal Palms Parkway Improvements, 97 percent done: Substantial Completion walkthrough 6-3.Rymfire intersection raised median 95%. Holland Park, 18 percent done: Rough grading of site. 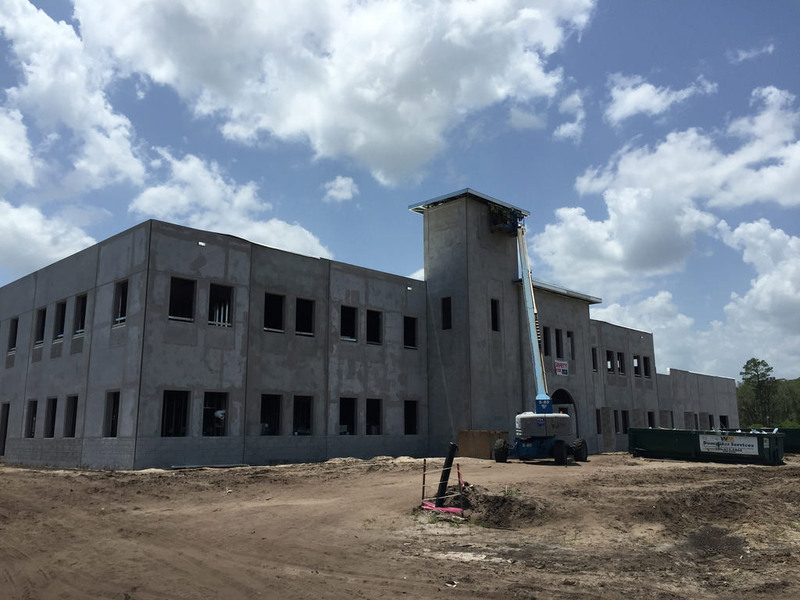 Palm Coast City Hall at Town Center, 51 percent done: Installation of drywall of interior walls, mechanical duct work installation, electrical conduit rough-in and fire sprinkler piping continues. Installation of exterior windows and exterior wall trim continues. Grading and layout for parking area has begun. See ongoing images of construction here. and the road has been repaired. Walmart Addition, 30 percent done: Construction of new addition continues. Inside the Islamic State: In his book, based on visits to the Turkish-Syrian border, online interviews with jihadists, and the access to leaders he enjoys as one of the Arab world’s most respected journalists, Abdel Bari Atwan draws a convincing picture of the Islamic State as a well-run organization that combines bureaucratic efficiency and military expertise with a sophisticated use of information technology. For security reasons, and to enhance his mystique, Abu Bakr al-Baghdadi, the self-styled caliph, keeps a low profile, rarely appearing in public. He is sometime known as the Phantom (al-shabah) or “‘the invisible sheikh’ because of his habit of wearing a mask when addressing his commanders.” His real name is Ibrahim bin Awwad bin Ibrahim al-Badri al-Qurayshi. He was born in 1971 in the Iraqi town of Samarra, once the seat of the caliphs in the Abbasid period (750–1258), whom he seeks to emulate. Crucially, the Bobadri tribe to which he belongs includes the Prophet Muhammad’s tribe of Qurayshin in its lineage. In the classical Sunni tradition, the caliph is required to be a Qurayshite. According to Baghdadi’s online biography, supplied by the IS media agency al-Hayat, he is from a religious family that includes several imams (prayer leaders) and Koranic scholars. He is said to have attended the Islamic University of Baghdad where he received his BA, MA, and Ph.D., with his doctorate focusing on Islamic jurisprudence as well as including studies of Islamic culture and history. He first attended the university during Saddam Hussein’s “Faith Campaign,” when the Iraqi dictator encouraged Islamic religiosity as a way of rousing national feeling against the economic sanctions imposed on Iraq after the US liberated Kuwait from Saddam’s occupation in 1991. While Baghdadi’s academic credentials confer legitimacy on his claim to be a religious guide as well as a political and military leader—an authority possessed by neither bin Laden nor Zawahri—his extensive battlefield experience and reputation as a shrewd tactician have enabled him to gain the support of experienced commanders and administrators from the former Baathist regime.” From the New York Review of Books. The Age of Nuclear Drift: “As if to add to a list of international nightmares, the Sunday Times of London recently reported that Saudi Arabia has made the “strategic decision” to buy “off-the-shelf” atomic weapons from Pakistan. The Saudis denied the report, which was attributed to “senior American officials,” and may have more to do with the rhetoric stirred up by the final days of nuclear talks between Iran and the United States than with the Kingdom’s immediate plans, but the basic scenario nonetheless had a kind of plausibility. After all, the Saudis helped finance the Pakistani program, which had been guided by the nuclear scientist Abdul Qadeer Khan. (Its worrisome evolution was described by Steve Coll in this magazine.) […] In the world’s present moral and political state, North Korea, which has already tested an atomic device, recently claimed to have launched a ballistic missile from a submarine—a weapons technology that gave the United States years of nuclear superiority during the Cold War. North Korea’s alarming, not-so-comical leader, Kim Jong-un, compared the test to his nation’s launch of a wobbly, short-lived orbiting satellite in late 2012. According to the Korean Central News Agency, Kim said that it would “make our enemies lose sleep.” An even better reason to lose sleep may be found in the Defense Department’s latest report on Chinese military power, which says that China’s arsenal now includes the “multiple independently-targetable re-entry vehicle” (MIRV), or multiple warheads carried by a single intercontinental ballistic missile. Until now, only Britain, France, Russia, and the United States could make that claim, a sign that the competition is not about to abate. You would think that, as an American election approaches, this would be an appropriate subject for the men and women running for office. It was a topic more than a quarter century ago, when Ronald Reagan and Jimmy Carter held their Presidential debate, in Cleveland, a face-off best remembered for Reagan’s skill at dominating the evening with lines like “There you go again,” directed at Carter, and “It might be well if you would ask yourself, are you better off than you were four years ago?,” directed at television viewers.” From The New Yorker. How Jeb Bush’s campaign ran off course before it even began: “When asked to pinpoint where Jeb Bush’s presidential effort began running into trouble, many confidants utter a single word: Dallas. Mike Murphy, Bush’s political alter ego, decided early on to hold regular senior staff meetings at an unusual location: a Hyatt hotel inside a terminal at Dallas/Fort Worth International Airport. The idea was that it was a central and relatively inexpensive gathering place for a team scattered from Los Angeles, where Murphy lives, to Miami, where the would-be candidate resides. It went fine at first but quickly became an awkward routine. Donors and other Republicans found the setup ungainly for a campaign-in-waiting that was supposed to be based in Florida. Older Bush hands also grew unhappy with rapid hiring by new advisers, and relationships frayed, according to Bush associates. And as the former Florida governor began to founder on the trail and in the polls, the discussions flared into arguments about how to divvy up money and resources between Bush’s allied super PAC and his official campaign. […] n interviews this week, dozens of Bush backers and informed Republicans — most of whom spoke on the condition of anonymity in order to comment candidly — described an overly optimistic, even haughty exploratory operation. Strategic errors were exacerbated by unexpected stumbles by the would-be candidate and internal strife within his team, culminating in a staff shake-up this week.” From the Washington Post. Palm Coast Parkway at I-95 Closed: From 9 p.m. Wednesday, June 10 through 7 a.m. Thursday, June 11, motorists and other travelers should expect eastbound and westbound lane closures along Palm Coast Parkway on the I-95 overpass between the I-95 southbound on ramp and the I-95 northbound exit ramp. A lane will remain open eastbound and westbound. These lane closures are required for the contractor to perform barrier wall operations. Matanzas Woods Parkway closed: Matanzas Woods Parkway is closed until early August for construction of the Interstate 95 interchange. The portion of Matanzas Woods Parkway that spans I-95 will be reconstructed to accommodate four single-lane ramps for on and off access to the interstate. Other improvements include the widening of the interstate to accommodate new acceleration and deceleration lanes, wet detention ponds adjacent to the roadway, sidewalks, lighting, overhead signs and landscaping. Project details are available and regularly updated at http://www.matanzas95interchange.com. The detour map is available here. 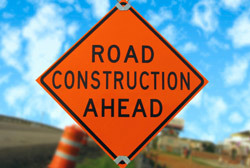 Lane closure for Palm Coast Parkway June 8-12: The lane closures along Palm Coast Parkway and Boulder Rock Drive are set for 8 p.m. Monday, June 8, to 7 a.m. Friday, June 12. The northbound thru lane on Boulder Rock Drive from Palm Coast Parkway will be closed and traffic will be shifted into the southbound lane of Boulder Rock Drive. Additionally there will be only one left turn lane open from Palm Coast Parkway eastbound onto Boulder Rock Drive. A uniformed law enforcement officer will be on-site to direct traffic into the southbound lane on to Boulder Rock Drive. The existing two left turn lanes from Boulder Rock Drive will modified to allow one thru lane and one left turn lane. Motorists are encouraged to watch for flaggers and work zone signs. The lane closure is required in order for the contractor to install a water main across Boulder Rock Drive. June 17: “The Art of Selling”, a business seminar, will be offered by the Palm Coast Business Assistance Center from 6-8 p.m. Wednesday, June 17. Registration is now under way. The seminar will be held at City of Palm Coast offices, 160 Cypress Point Pkwy., Suite B106. A $10 early-bird, reduced registration fee is available now through May 31. From June 1 to 17, the registration cost is $15. For enrollment information, contact the Palm Coast BAC at 386-986-2499 or log onto www.PalmCoastBAC.com. Seminar Topics will include: The 7 steps of the sales process, how to improve the odds of making quota, preparation approach and discovery, and so on. The seminar will be taught by Ray Peter, Area Manager of the Florida Small Business Development Center. The Palm Coast BAC is a partnership between the City and the SBDC hosted by the University of Central Florida. June 19: Sally’s Safe Haven Open House, 103 E. Moody Blvd., Bunnell. Free Breakfast and Lunch for All Flagler County Children Through Seamless Summer Freeding: The Flagler County Schools, Food & Nutrition Services Department is please to announce that free breakfast and lunch meals will be made available at no charge to all children in the community who are 18 years of age and under. Free meals will be available at the following sites from June 8th – August 14th and closed on July 3rd. Closed site means it’s just for children who are attending camp through the school location. An open site means anyone can come in and have a meal. Menus available online at FlaglerSchools.Nutrislice.com. Bunnell Elementary – Closed Site: 800 East Howe Street Bunnell, Breakfast from 8:30 a.m. to 9:30 a.m., Lunch from 11 a.m. to 12:30 p.m. Imagine School – Open Site: 775 Town Center Blvd Palm Coast, Breakfast from 9 to 9:30 a.m., lunch 12:30 p.m.
Versie Lee Mitchell Community Center – Open Site: 405 E Drain Street, Bunnell, Breakfast, 8:45 a.m. to 9:15 a.m., Lunch, 12:30 p.m.
Wadsworth Elementary School – Open Site: 4550 Belle Terre Parkway Palm Coast, Breakfast, 8 a.m to 9:45 a.m. , Lunch, 11 a.m. to 12:30 p.m. Reverse Church – Open Site: 4601 East Moody Blvd. Bunnell, Breakfast, 8:30 to 9:30 a.m., Lunch, 11:30 a.m. to 12:30 p.m.
June 23: The Estate Planning Council of the Fun Coast Host ‘Understanding Hospice Care in Our Community’ Event: The event will be held at the Holiday Inn Express, LPGA Daytona Beach, located at 137 Automall Circle, Daytona Beach from 8 to 10 a.m. The event will host a panel with representatives from all five local hospice care providers who will educate attendees on what Hospice is, the services offered, when a client would qualify for hospice, how the referral system works with hospice, and what insurance/Medicare/Medicaid covers (and doesn’t cover). Attorney Scott Selis, President of the Estate Planning Council of the Fun Coast, will be the moderator and panel participants from Florida Hospital Hospice Care, Haven Hospice, Gentiva Hospice, Halifax Health Hospice, and VITAS Healthcare will participate. The panelist will give a brief summary of the services and programs they offer above and beyond the standard level of care, and how they work with families and patients. Guests are welcome, attendees do not need to be EPCFC members. Attendees who RSVP are invited to submit questions that will be asked to each panel member. If time permits there will also be a question and answer session. Cost is $20, payable at the door. Those interested in attending are asked to RSVP by calling Kimberly Selis at 386-445-8900, extension 22, or emailing her at KSelis@PalmCoastLaw.com. The Estate Planning Council of the Fun Coast is an interdisciplinary organization for professionals involved in estate planning. They strive to foster understanding of the proper relationship between the functions of the life underwriter, trust officer, attorney, accountant, financial planner, and any other party or parties having to do with estate planning, and to encourage co-operation of persons acting under those disciplines. The president is Scott Selis and they can be reached at 386-453-5934. For more information, visit http://www.epcfuncoast.org. June 24, Veterans Pancake Breakfast: Meet with fellow Veterans and chat over breakfast, Wednesday, June 24, from 8:30 a.m. to 10 a.m. at Princeton Village, 100 Magnolia Trace Way, Palm Coast. To confirm your attendance or for more information call Laura Zublionis 386-206-9730. June 27: The Ham Radio operators of the Flagler Emergency Communications Association, licensed by the Federal Communications Commission, will establish a nationwide communications platform simulating emergency conditions for 24 hours beginning at 2 p.m. Saturday, June 27th at the Flagler Beach Fire Department Headquarters, 320 South Flagler Avenue, Flagler Beach, Florida 32136. The simulation is part of the American Radio Relay League’s National Field Day, Tours of the operation and an opportunity to learn more about Ham Radio are available throughout the simulation period and are free to the public on a “drop by” basis, no advance arrangements are necessary, all are welcome. 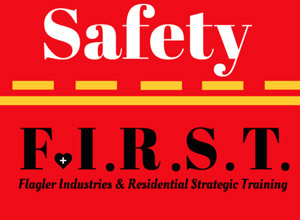 June 27: Safety F.I.R.S.T. and Playing It Safe! Expo Set for June 27th in Palm Coast: The fourth annual Hurricane Expo has been renamed the Safety F.I.R.S.T. & Playing It Safe! Expo, and is scheduled for June 27th in Palm Coast. “This expo will cover all aspects of personal safety including information for seniors and children, as well as fire, wind and flood preparedness vendors, educational classes, information and demonstrations,” said event organizer Julia Fuentes. “This is a great opportunity to educate community members, young and old, about injury prevention.” The event will take place at the Legacy Academy located at 515 Palm Coast Pkwy, SW, in Palm Coast, FL on June 27th from 10:00am to 4:00pm. Admission is free and free hot dogs will be served to children under 12 years old. The event is accepting sponsorships and vendors of all types. Exhibitors will have the opportunity to educate residents on what type of services they offer and encourage attendees to buy local during an emergency. Expo partners include Flagler Parent Magazine, Serendipity Living LLC, and My Safe and Sound Home Inc. The event is endorsed by the EOC and local municipalities. There will be family fun activities including face painting, bounce houses, balloon art, a pet zone, a bike and helmet check and more. A range of topics appealing to all age groups will be offered, such as fire safety, home safety, wind mitigation, elderly fall prevention, child passenger safety, correct CPR methods, pet preparedness and everyday personal safety. Parents can learn about poison prevention, childproofing your home, how to prepare for their families for any disaster situation. Educational classes will be hosted by The Flagler County Emergency Center, Palm Coast, Bunnell, and Flagler Beach Cities, the Homebuilders Association, My Safe & Sound Home Inc./Safety-Pulse and private sector community providers. A drive thru car seat safety checks will be available from the City of Palm Coast Fire Department. Visitors will be able to build their own first-aid kit; learn water safety; tour fire trucks; watch demonstrations conducted by the Flagler County Sheriff’s Department, Florida Hospital Decontamination Team; Flagler County Emergency Management and the Division of Forestry’s Smokey Bear. Kids can experience the City Of Palm Coast’s fire safety house. Classroom sponsorships to presenting sponsorships are available and details can be found at http://www.prepfirst.org, or by calling 904-377-4037. Flagler Chamber Seeks Applicants for Leadership Flagler’s 23rd Class: The Flagler County Chamber of Commerce is currently accepting applications for Leadership Flagler, a program that nurtures and engages the leadership skills of potential and current community leaders. Now in its 23rd year, the three-month program provides insight about Flagler County’s operations, attributes, issues and opportunities, while inspiring participants to take active roles as stewards of and advocates for positive change within the community. Ten to 15 candidates representing Flagler County’s diverse professional community are selected to participate each year. An alumni council of Leadership Flagler graduates oversees the program, selects participants and develops curriculum. Starting in late August, classes meet Wednesday mornings from 8:30 a.m. until noon with sessions on business, government, health and human services, art and culture, education, agriculture and growth management. Class members are expected to comply with the program’s attendance policy, and to complete a group community service project prior to graduation. Past Leadership Flagler Classes have supported literacy programs like the Dolly Parton Imagination Library of Flagler County and Josh Crews Writing Project, and Youth Leadership Flagler, a program created by Leadership Flagler 20 now in its third year of inspiring future leaders at the high school level. As a special incentive this year, the Chamber is offering an early bird tuition rate of $350 before July 31 for current members and $500 for future members. These rates will increase by $100 for participants that sign up after July 31. If you are an aspiring leader, don’t miss this once a year opportunity! Simply complete the application for Leadership Flagler 23 and return it to the Chamber before the deadline Friday, July 31. Leadership Flagler is one of nearly 700 programs nationwide devoted to shaping high-profile community leaders. Since its start in 1993, Leadership Flagler has graduated more than 230 professionals. For more information, call Rebecca DeLorenzo or Gretchen Smith at 386.437.0106. Private lessons are also available, with instruction tailored to the skill level of the participant, from beginner to advanced level. Semi-private lessons are available for two students of similar skill level per instructor. Those lessons are arranged by appointment only. The fees are: $25 for a private 30-minute lesson and $20 per student for a semi-private 30-minute lesson. For more information, call the pool at 386-986-4741. Registration opens for 2015 Palm Coast & the Flagler Beaches Senior Games: Active older adults can now sign up for the second annual Palm Coast & the Flagler Beaches Senior Games – offering competition in 14 sports. The Senior Games, presented by Florida Hospital Flagler Health Partners, Orthopedic & Sports Medicine, will be held Sept. 12 to 19. The Seniors Games are open to men and women ages 50 and up. Registration is $15 and includes a T-shirt and participation in one sports event; participation in each additional sports event is $5. Competition is offered in eight different age categories. “The tradition of the Senior Games is to offer fun, fellowship, fitness and competition, and that is a perfect match for Palm Coast and our surrounding community with our area’s emphasis on active lifestyle and recreation,” said Palm Coast Director of Parks & Recreation Luanne Santangelo. “Please join us in making our second annual Palm Coast & the Flagler Beaches Senior Games even bigger and better than last year’s.” To register, visit www.palmcoastgov.com/seniorgames for the registration form. Mail the form with payment to Palm Coast Parks & Recreation, attn. : Senior Games Coordinator Ginger Parnell, 305 Palm Coast Parkway NE, Palm Coast, FL 32137. Or drop it off Monday through Friday, 8 a.m. to 5 p.m., at the Palm Coast Community Center, 305 Palm Coast Parkway NE, or email it to gparnell@palmcoastgov.com. Checks should be payable to: City of Palm Coast. Eleven of the 14 sports being offered in the local Senior Games this year are sanctioned by the Florida Sports Foundation, with the Palm Coast & the Flagler Beaches Senior Games serving as a qualifier for the Florida Senior Games State Championships. For more information, visit www.palmcoastgov.com/seniorgames or call Palm Coast Parks & Recreation at 386-986-2323. RICHTER running for county commissioner: I thought a candidate had to live in the actual district that the commissioner race is for? It is not fair that a candidate should be allowed to run in a race outside of his/her district and, if that person wins can then move to that district. It’s not fair to the candidates that actually do live in the proper area to have an intruder come in and decrease that person’s ability to win. It sounds like a RRR move to me. If a candidate does not live in the correct district, that person won’t get my vote, I don,t care who it is, same with a RR candidate, past or present.